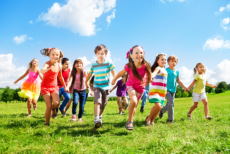 The Afterschool Program at All in One Kids Day Care and Learning Center is filled with so many enrichment activities – your child will have something productive to do and they’re having fun at the same time. We pick your kids up from school and serve dinner. We have homework aids to make sure your child completes his or her homework and understands it. As needed, we can facilitate Test Prep/Tutoring too. Contact us or enroll now!